6 out of 8 (75%) reviewers said they would recommend this vehicle to a friend. I believe the AD brought in this engine to keep the price competitive in line with the new VES changes. However, I just could not convince myself to accept the 107hp engine. The engine delivers good useful torque from idle and feels like a 2L engine. Very good for short spurts of acceleration lasting 1 or 2 seconds. But past 4000 rpms, the acceleration tapers off quickly as the power limited engine gives up torque for rpm. From this point it is all downhill. The torque even lower than a 1.5L bread butter sedan, but dragging a 1.5ton body. Shift up to the next gear and you lose even more acceleration. Better to accept to decreasing torque and shift up later. There is nothing you can do by now. If you're not done overtaking or accelerating by this point, it is better to give up. Even with the new dual clutch gearbox it still takes almost 12s to reach 100kph. If you are a gentle driver that drives at low revs all the time, looking for a "Branded" Car with some practicality, this is the ideal car for you. This is almost the lowest price you can get to own a BMW here, especially during promotions, so do look out for them. Test drove the 2 series GT. Was surprised that the car has adequate torque from moving off. However towards the 80kmh speed onwards, the "Power" Soon fizzle out. Was contemplating of changing existing wish to this 2GT as they are both 7 seaters. It's a BMW. Drive nicely. Good for city driving. Not able to attain "high speed"
My mother in law was looking at the 7-seater Honda CR-V Turbo which cost around $152k back in Apr 2018. I advised her to take a look at the BMW 216i Gran Tourer too as it was about the same price. Long story short, she preferred the BMW over the CR-V Turbo for obvious reasons : Firstly, who can resist the BMW badge. Secondly, the BMW had more advanced features. Thirdly, build quality of the BMW was significantly better than the CR-V with better insulation. Other things included a higher OMV, better resale value, more comprehensive warranty and servicing package. I took it out for a test drive and despite only having 109bhp, the car drove very nicely. With sufficient power for overtaking, easily better than a standard 1.6L NA car. The car cruised nicely along the NSHW to Genting Highlands too, maintaining a steady 150km/h without breaking a sweat despite the 1.5L 3-cylinder turbo engine. It then carried a full load of 7 adults up and down Genting Highlands without incident. If you have preconceptions about a small displacement turbo engine being inadequate to power an MPV, I urge you to take this car for a spin. Was initially hesitant that the car might not be sufficiently powered given the low horse power compared even to 1.6 lit sedans. I was surprised as it had no problem even with 7 adults especially when you go into Sports mode! No problems with overtaking at all. Nice drive and very responsive. As a previous contributor said, the Eco mode is useless, stayed on Comfort mode suffice. I use it more as a 5 person carrier with occasional 2 extras. - The initial acceleration is great to get off the traffic lights! - The back shade to cover the boot when last 2 seats are not used can be kept neatly tucked away instead of having to store it at home. - The voice activated services is great! - Remote ventilation of vehicle, useful prior to getting into car that was parked in hot sun. - external noise is a little like diesel engine but once inside, it can't be heard. - the seatbelt for 2nd row middle seat do not have anchor point for the shoulder making it a little annoying. - the onboard map guidance could be better though the heavy traffic warning is good. I like continental cars. I was looking for a car that occasionally can carry 7. This one fits into my requirements. I am enjoying the drive. Everything is good about this car. Second row passengers enjoy the comfort for sure as my family describes their experience compared to previous MPV. There are big blind spots on both front corners. One need to get used to them. I drive in 'comfort' mode when i am alone but need to shift to 'sports' mode when driving with family of four. 'Eco' mode is useless. Big blind spot on both front corner can be annoying initially. I have been driving the petrol variant version for 1 year now. Love the lively pickup and eagerness of the engine to perform. Stiff body, which makes cornering respectable despite its high roof. Someone claimed that it cannot outrun a Mitsubishi Attrage. I find it so odd. I drove my family of 4 adults and I find absolutely no problem overtaking cars on the expressway. Everything. It is a full featured car, minus the cruise control. Collected my 216i GT Luxury Trim 2 Weeks back. Im loving the drive. Needed an occasional 7 seater and decided to get a MPV. Was sad to let go of my Toyota Harrier. Test drive the following MPV - Renault Scenic, VW Touran, Honda Jade & Odyssey, Kia Carens. The handling and drive comes out joint top with Jade. I was surprised. Considering the horse power is low. But hey. You can only hit the max horse power is only at 4500 rpm. Its similar for all of the vehicles. Torque is more important on Singapore road. And the max torque came at 1200 rpm. Interior Wise. It has all the features that you need. Very functional storage. USB connections. Scenic has more futuristic design. Space Wise. Odyssey beats all hands down on the space. But its a full size MPV. Whereas Jade does not fulfil the 7 person carrier due to the sitting arrangements. I would need the 7 seats 5-10% Of the time. BMW GT, Touran and Scenic has around similar leg room. Looks Wise. Its subjective. Beauty lies in the eye of beholder. Lol. BMW GT was my favorite followed by Jade. I would encourage those looking for a MPV at this price range. Go for a test drive. Watch the YouTube reviews. Read the professional driver reviews. In addition, I got 5 years servicing and warranty. The Premium price includes the 5 years free servicing. From my calculation, its around 30% margin. Its higher than all of the other MPVs. But its a Premium brand over the others. Im quietly confident with its proven 6 Speed Aisin GB and B38 engine. Beats waiting under the hot sun at the road side with a 7 Speed DXX. PML pamper the customers during the car collection. The feeling is just different. You pay a premium for it. You get the returns. Feel like going down the red carpet again... Lol. Authorised Distributor BMW cars are BMW 1 Series Hatchback Reviews, BMW 2 Series Active Tourer Reviews, BMW 2 Series Active Tourer Plug-in Hybrid Reviews, BMW 2 Series Convertible Reviews, BMW 2 Series Coupe Reviews, BMW 3 Series Sedan Reviews, BMW 4 Series Convertible Reviews, BMW 4 Series Coupe Reviews, BMW 4 Series Gran Coupe Reviews, BMW 5 Series Plug-in Hybrid Reviews, BMW 5 Series Sedan Reviews, BMW 6 Series Gran Turismo Reviews, BMW 7 Series Reviews, BMW i3s Electric Reviews, BMW i8 Coupe Reviews, BMW i8 Roadster Reviews, BMW X1 Reviews, BMW X2 Reviews, BMW X3 Reviews, BMW X4 Reviews. Parallel Imported BMW cars are BMW 2 Series Active Tourer Diesel Reviews, BMW 2 Series Gran Tourer Reviews, BMW 2 Series Gran Tourer Diesel Reviews, BMW 3 Series Plug-in Hybrid Reviews, BMW 3 Series Sedan Reviews, BMW 4 Series Convertible Reviews, BMW 4 Series Coupe Reviews, BMW 4 Series Gran Coupe Reviews, BMW 5 Series Sedan Reviews, BMW 5 Series Sedan Diesel Reviews, BMW 5 Series Touring Reviews, BMW 6 Series Gran Coupe Reviews, BMW 6 Series Gran Turismo Reviews, BMW 7 Series Reviews, BMW 7 Series Diesel Reviews, BMW i3 Electric Reviews, BMW i8 Coupe Reviews, BMW X1 Reviews, BMW X2 Reviews, BMW X3 Reviews, BMW X3 2011 Reviews, BMW X4 Reviews, BMW X5 Reviews, BMW X5 Diesel Reviews. sgCarMart is the number one car site for buying Singapore cars, including new cars, parallel import cars, Toyota, Honda, Nissan, Volkswagen, Mitsubishi & BMW. 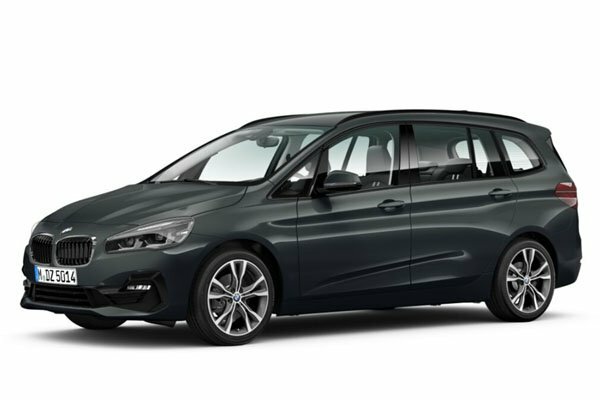 We have new car dealers comprising parallel importers, authorised car distributors, and used car dealers who have the New BMW 2 Series Gran Tourer latest price Find new car pricelists, new car launches, new car promotions, new car reviews, latest car news & car articles. Read the New.BMW 2 Series Gran Tourer consumer reviews to help you decide on buying a car. Also join our car discussion and forum discussion for car reviews, motoring news & motoring guides. Visit our partner sites who have job openings for Singapore jobs, Singapore classifieds, mover and real estate properties for sale.